With a host of committed entries to the Carnival already received, the 2018 Callington Carnival promises to be one to remember, so do make sure that Saturday 8th September is firmly in your diary and that you are out and about in town to enjoy the spectacle. As ever, the main procession will leave the Saltash Road Car Park at 4.30pm, this year moving down Saltash Road to the traffic lights and then turning left into Fore Street, which will give a much better view as the parade approaches the town centre. It will then continue along Liskeard Road as far as the museum and then turn left into Westover and come out at the primary school, to turn right and return to the car park. In essence the route has been reversed and also slightly shortened, to allow for easier participation for people of all ages and abilities. There is still plenty of time to make an entry yourself, whether it be on a float, as a commercial vehicle to promote your business or organisation, or as a walking entry. We would ask vehicle entries to enrol at least 48 hours before the start, but walking entries can be made on the day. In the past, there has never been an official theme for entries, but this year there is a suggested guideline of “Centenaries” or “Anniversaries” as 2018 marks a number of historical milestones. Nevertheless, have no fear, other entries will be warmly welcomed! There is a surprise extra procession of at least 20 vehicles which will precede the main parade so make sure you are out and about in plenty of time to enjoy the fun. Following the success of a more family friendly Honey Fair last year, Callington Lions are continuing the same theme for this year. Traditionally, Callington’s annual Honey Fair has something for everyone with the Streets filled with a variety of stalls displaying local and national produce. In addition, this year there will be family entertainment including clowns, animals to pet, face painting, live music on a bigger stage and much, much more. 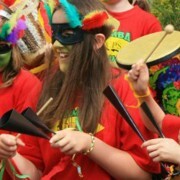 It will be extended into the evening with street entertainment for all the family to enjoy, including Rowland’s Fun Fair. This is ‘Bee-sides’ the favourites of the Cornwall Bee Keepers displays, with their live bees and honey products, ‘Teas with the Bees’ and Children’s Art Competition. Don’t forget you can follow the trail of the Honey Fair Shop window displays, where the theme this year is ‘My Favourite Book’. Honey Fair Bingo Night in the Town Hall on Friday 28th September, doors open at 7.00pm. We have added sound reducing blankets around the rigs as well as bales, this has been successful so far in minimising noise levels. If you are interested in setting up a scheme, the first step is to speak to your neighbours and find out if they are also interested. The more residents there are who want to get involved, the more successful a scheme will be. But not everyone in a street or neighbourhood needs to join a scheme for it to work. It will work as long as there are enough residents to keep an eye out for each other’s properties and to liaise with the police. The closer the links with the police, the more effective a scheme will be, so we recommend you contact your local Policing Team to let them know you are interested in starting a NW scheme. You can find their details in www.police.uk. The exact process for starting a scheme varies across England and Wales, so you should also get in touch with your Neighbourhood Watch Association and they will let you know what to do next. Each scheme has a Co-ordinator who acts as the key contact point for the scheme. They liaise with the police, scheme members and the general public, for instance, people who are interested in joining the scheme, as well as non-member residents when necessary. A scheme may have more than one Co-ordinator as long as members and police know who the key contacts are. The Co-ordinator ensures a smooth flow of information and communication between the police and scheme members. There are no hard and fast rules about the size of a NW scheme. This can vary depending on the geography of the area. A good rule is to think about which houses can see each other, so that they can keep an eye open for any suspicious activity. But some schemes don’t fit into that model, such as long straight roads, blocks of flats and rural areas where houses are widely spaced, so choose what works best for you. Do you need a deputy or a second Co-ordinator? Do you need to set up a small committee? Do you need to appoint a treasurer? How will you cover costs of running the scheme (eg. newsletters, meetings etc)? How will you raise funds if needed? How will you communicate with members? How will you communicate with the Police? Will you produce newsletters? If so, how often and who will produce them? How often will you meet and where? How will you deal with new requests for membership? Traditionally, Neighbourhood Watch activities have focused on the immediate vicinity of homes, with members looking out for anything suspicious and helping their neighbours. However, more and more schemes are broadening their work to target a range of other problems such as anti-social behaviour, vandalism and graffiti. When links are made with other local schemes and wider alliances are formed, the membership can become a powerful voice within a community and get actively involved in problem solving. Neighbourhood Watch is well known to help reduce burglary, anti-social behaviour, doorstep crime and environmental problems. But criminals are no longer constrained by geographical boundaries, and in recent years there has been a steady rise in fraud and cybercrime. Neighbourhood Watch is in a strong position to help tackle this kind of crime as well, by being a trusted source of information and support for those who might be vulnerable. Victims of fraud and cybercrime might be embarrassed to confide in their families, or worry about losing their independence, and may not know that a crime has been committed or feel that they can’t report it to the police. This is where Neighbourhood Watch members and Co-ordinators can help. As well as the police, Neighbourhood Watch schemes may also work with other agencies within their areas who have an interest in reducing crime and building stronger communities. These may include Community Safety Partnerships (CSPs), and Fire and Rescue services. 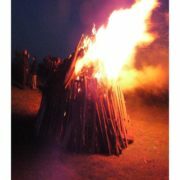 You might also want to link up with other community groups like Resident Associations and special interest or cultural groups. We are still experiencing problems with our telephone lines. BT engineers are working this morning to try to get back online. 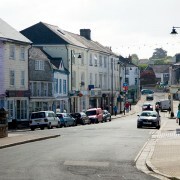 Help to shape Callington and Kelly Bray of the future. Please come along to this event and let us know what you think of your town. Following the consultation, there will be a week long exhibition in the Town Hall from Monday 30th July. Dennis the Menace and Gnasher are leading the fight to keep children reading across Cornwall this summer. They are part of the Summer Reading Challenge 2018, which aims to get 4-11 year-olds to borrow and read at least six library books during the school holidays. This year’s theme is Mischief Makers, and has been inspired by the classic childrens’ comic Beano, which celebrates its 80th anniversary this year. The challenge is designed to prevent children from experiencing a dip in their reading skills during the six-week break from school. To take part, all children need to do is to visit their local library and sign up for the challenge. They will then be given a colourful collector’s edition map of Beanotown. As children read library books for the Summer Reading Challenge, they will receive special stickers, some with mysterious smells. By adding these stickers to their map, young readers will help Dennis, Gnasher and friends solve clues and discover the treasure, having lots of fun and adventures along the way. Last year, more than 8,000 children took part in the challenge across Cornwall, with 69% of participants reading at least six books. The Summer Reading Challenge 2018 will begin in Libraries across Cornwall on Saturday, 14 July. 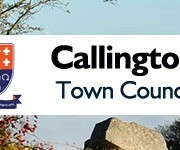 Callington Town Council have put out a ‘call for land’ as part of the emerging Callington & Kelly Bray Neighbourhood Plan following the appointment of new Consultants for the project. The call has come following a meeting with Clifton Emery Design and LRM Planning. They have been employed by the Council to bring forward the Plan which will consider areas for new homes and employment spaces to meet future needs and identify the infrastructure and other improvements that will help the area over the next twenty years. As part of this process they will be looking at areas that could be developed to meet the requirements of the Cornwall Local Plan, which was approved by the Government in November 2016 and targeted 1,000 homes for the Caradon Community Network centred around Callington. “The Neighbourhood Plan is an opportunity for local people to help shape the future of the area and the community’s views need to be at the heart of the project. The focus of the work to begin is understanding the important issues for local people and finding out how they would like Callington and Kelly Bray to develop over the coming years” said Helen Dowdall, Clerk to the Town Council who has set up a Steering Group for the Plan production. Details of any sites need to be submitted using the form below, it can be downloaded, completed and returned by email to clerk@callington-tc.gov.uk. It is also available in hard copy. Closing date for the submissions is Friday 7th September 2018. 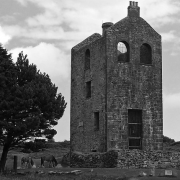 The steering group will be holding a consultation on Friday 27th and Saturday 28th July at Callington Town Hall to give the public an opportunity to further engage in the formation of the plan following the initial survey. The event will take place from 2.00pm to 6.00pm on Friday and 10.00am until 2.00pm on Saturday. Following the consultation there will be a week-long exhibition in the Town Hall from Monday 30th July. The three Public Display Meetings were held in Callington Town Hall on May 3rd, 4th and 5th. These displays showed historical mining, Cornwall Resources Ltd (CRL) 2017 drilling locations and results plus the planned drilling for 2018. 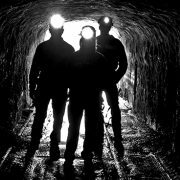 Altogether about ninety people visited the displays over the three days and CRL were delighted with the general response which was very positive to mining restarting in the Kelly Bray area. 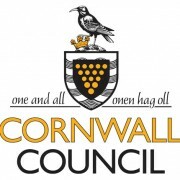 A new General Permitted Development Order has been approved by Cornwall Council for a further 6 months of Exploration Drilling. The drilling contract has now been signed and the first drill rig should be on site drilling in mid-June probably in a field along Redmoor Road where drilling occurred last year.